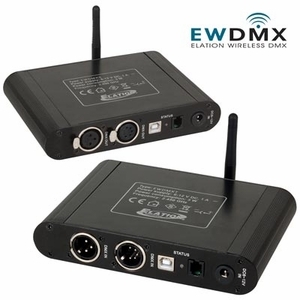 W-DMX uses Adaptive Frequency Hopping Technology (FHSS), which changes frequency 1000 times per second and jumps only to channels that are not used by other W-LAN and/or any other products on the 2,45 GHz band. This together with TDMA (Time Division Multiple Access) gives the user a guarantee for a much safer technology without interference. The technology was invented by the US Army and is used in the GSM networks as well.